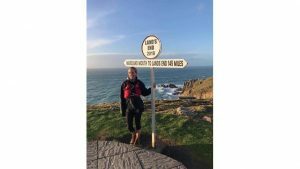 Huge thanks to Wendy Chapman who raised an incredible £170.00 via Just Giving doing her North Coast Challenge. Thanks so much for your support Wendy. 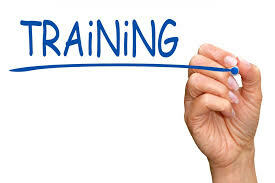 We will be running our Childhood Loss and Grief Level 1 & Level 2 Training again at the start of 2019. These courses are suitable for any professionals who might come into contact with bereaved children in the course of their work, volunteers and those wanting to gain an understanding of how best to support bereaved children. Places book up fast, so please get in touch if you’d like to book a place. You can find out more details here or get in touch with the office on 01209 210624. Getting spotty in the Penhaligon’s Friends office today for Children in Need. 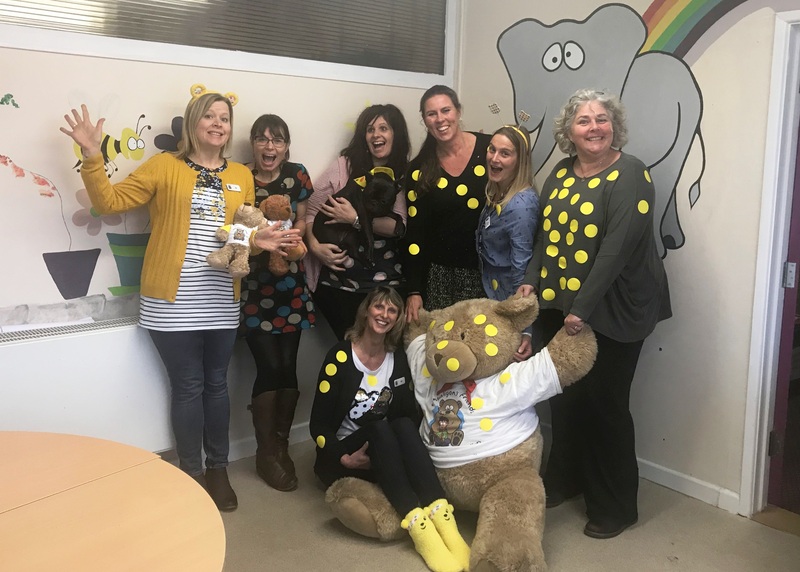 Look out for us on BBC Spotlight tomorrow from 6.30pm and on the national Children in Need program later in the evening. The later program will feature a very moving short film about two young people that we’ve supported here in Cornwall. 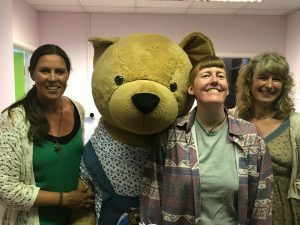 If you would like to support our work in Cornwall please text PENH10 £10 to 70070. Penhaligon’s Friends is a Cornish children’s charity which is entirely reliant on grants and donations to enable it to provide much needed bereavement support for children and families throughout Cornwall. We are incredibly grateful for any donations, however small. If you’d like to donate £10 please simply text PENH10 £10 to 70070. 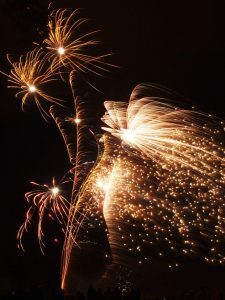 Huge thanks to the Tremorvah Bonfire Committee who put on a fantastic display of fireworks and bonfire on 5th November 2018. We are incredibly grateful for their donation and for their ongoing support. Thank you! They did it! 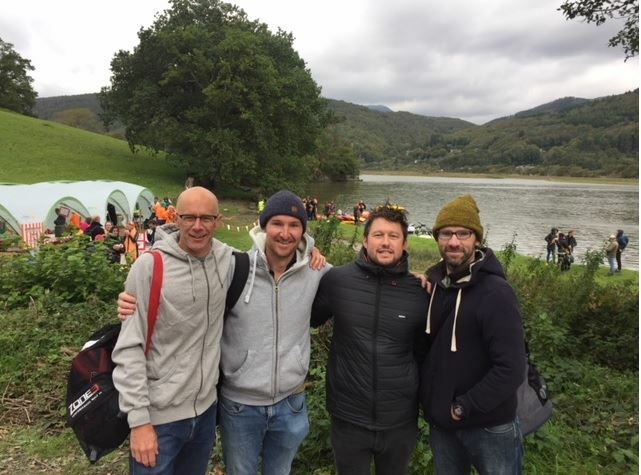 Well done to David and team who completed the 10km river swim in Wales called ‘The Hurly Burly’ over the weekend and raised money for us here! Thank you so much, we hope you had an amazing time! Our very grateful thanks go to the members of NCS Team 3 who carried out a sponsored walk and various other activities to raise an amazing £1002.24. The NCS (National Citizen Service) is a fantastic experience for 15-17 olds to challenge themselves and give something back to their communities. Thank you Team 3! 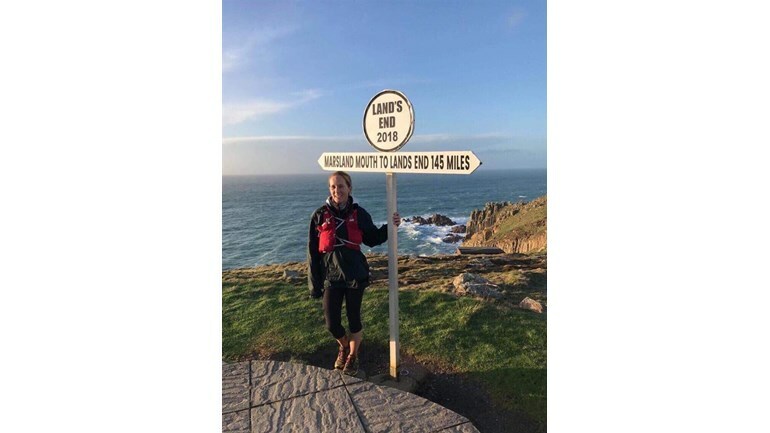 It was a pleasure to welcome Daisy to Penhaligon’s Friends and say a huge thank you for her amazing personal challenge of shaving her head. 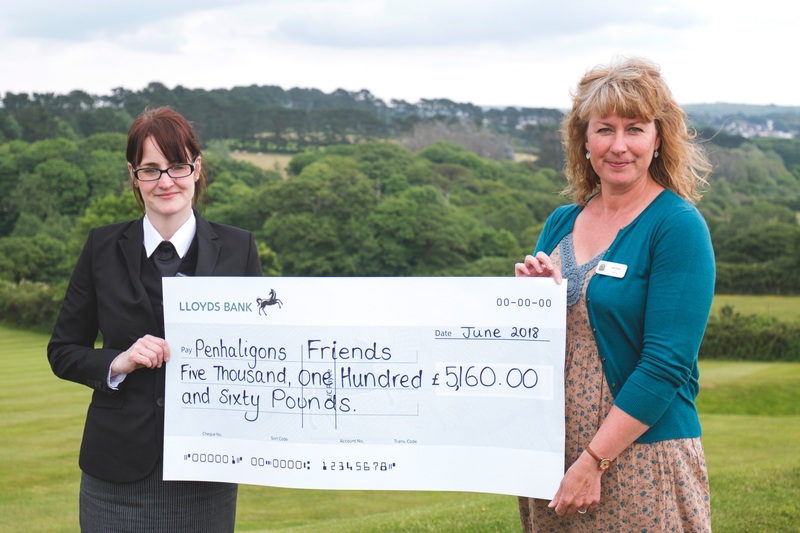 She raised a staggering £6500+ for us at Penhaligon’s Friends – wow! Thank you Daisy for your wonderful support and thank you to everyone who supported Daisy with her challenge and for donating more for her to keep her fringe, we think she looks fab! We feel truly honoured – thank you. ! Huge thanks go to Treswithian Downs Crematorium for their fantastic donation of £5160.00. We are incredibly grateful for their kindness.